36-year-old Sunitha Thrippanikkara radiates positivity and energy. This wheelchair-user, whose works of art have wowed audiences in India and abroad, paints with her mouth. Her exhibitions are a much looked forward to event by art enthusiasts. Sunitha, who is from Kannur was born with muscular atrophy. She was able to walk with support until she was inc lass 4 when she suffered a fall. From then on, she started using a wheelchairBut she could walk with the help of aides until she was in fourth standard. During that time she had a fall and had to start using a wheelchair from then on. 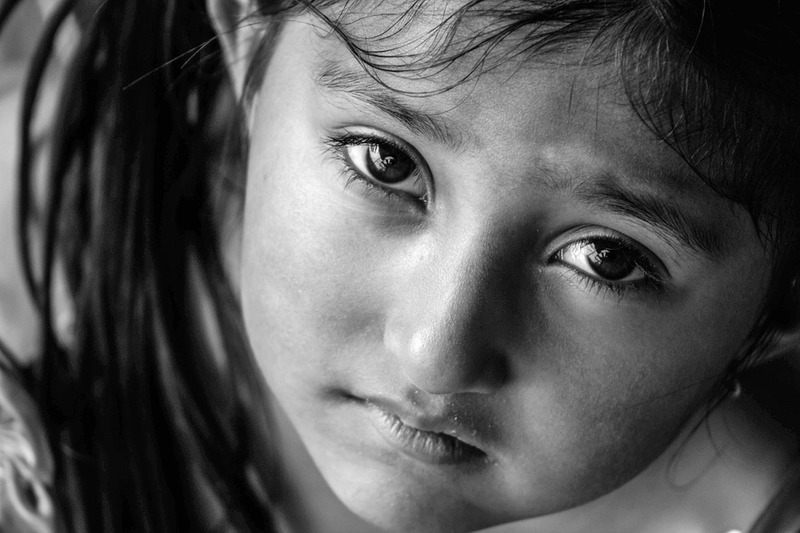 She had to discontinue going to school as well. Sunitha resumed her studies with the help of home tutors and went on to do an MA in Malayalam literature. Today, she has many laurels to her credit. Apart from showcasing her works in over 100 venues, she is a pioneer member of the Association of Mouth and Foot Painting Artists, an organization based in Switzerland. In 2017, she received the Outstanding Creative Adult Person with Disabilities (2017) award from Ramnath Kovind, the President of India. Sunitha loved to paint even as a child and lost all hopes of becoming a painter after her fall. 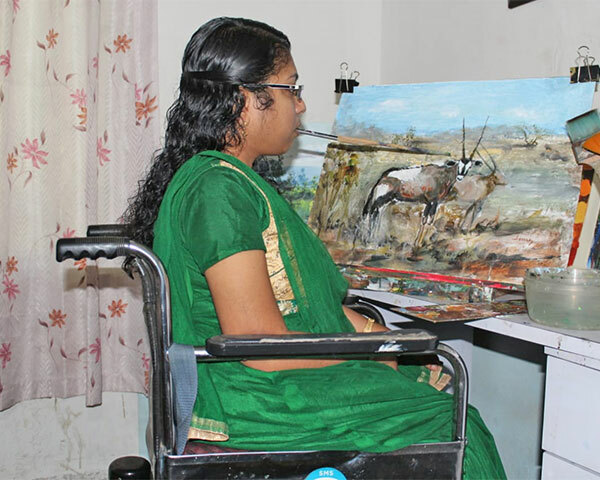 With the encouragement of brother Ganesh Kumar, she started painting with her mouth. Kumar is also a wheelchair user and a renowned artist who has exhibited his work worldwide. He also runs a painting school. "I have a very supportive family. Without them I couldn't have done half of what I do right now. My brother is my biggest pillar of strength. I have seen him battling his disability with confidence and that has inspired me. I was shattered after being on a wheelchair. I thought that I will have to bid goodbye to the world of paintings and art. But my brother held my hand and guided me through the right path. My mother Janaki is my super woman", says Sunitha. Disability has never been a roadblock for Sunitha to try her hand in different things. When she is not painting, she is a dance choreographer for people with and without disabilities. She is also a published writer and occasionally directs plays. Bobby Thomas, India Head, Association of Mouth and Foot Painting Artists describes her works as unique. "Sunitha has been associated with us for over a decade now. Every disabled artist is unique in their own ways. But what I have noticed about Sunitha's works is that they are very detailed and intricate. For an artist who paints with her mouth, it is quite challenging. Most of her works are landscapes. She also comes up with some great concepts," says Thomas. Sunitha has over 3,000 paintings to her credit and this lady is her on her way to explore even more creative skills.